This beautiful video uploaded by Shri Sai Baba devotee SaiVishnu1. Has wonderful videos of holy and sacred land Shirdi, from the cd created by Shirdi Sai Baba Sansthan, Shirdi. This devotional song or bhajan has very good and meaningful lyrics. Mangalam means good, good in every sense. News of disaster are averted. Disaster on every levels. Family matters, personal matters, spiritual matters, trade and such. The name of Sai brings Mangalam. The sacred land of Shirdi brings Mangalam. The Sadguru form of Sainath the saint is mangalam. His is Prampita the highest form of parenthood, the solace of meek and humble. Meekl and humble in the sense of ego, for those who surrender and give their problems, good feelings and bad feelings to Him. Shirdi is dham, a pilgrimage place where all the souls get all that is good, and give all that is bad. The land of Shirdi, the worship or pujan of Samadhi of Sai Baba, the holy feet of Sai Baba (Sai Charan) , the soil of Shirdi brings the solace to heart, mind and soul. Victory to Sai Baba. One sings the glory and solace one felt in Shirdi, it brings mangalam peace at heart. whole hearted devotion, worship and meditation of Saibaba brings the solace and peace to heart, mind and soul. 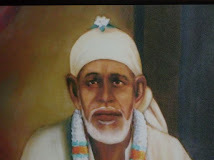 The food of Dwarkamai is mangalaam and the everburning flame of Sai is mangalam. The entrance of Dwarkamai and the shouts in victory of Sai brings the solace to heart mind and soul. Jai Ho Sainath. Jai ho Dwarkamai. The temple of Sai is mangaalm the darbar (divine court) of Sai is the one that bestows divine love that brings deep divine satisfaction. The soft loving and divine form of Sai is uncomperable. 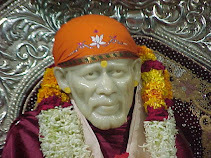 The tatered and dirty clothes of Sai is mangalam as it contains the jewels of soul cleaning divine love.